Description: New genuine Acer laptop replacement battery. 5600mAh, 63Wh, 6 Cell. 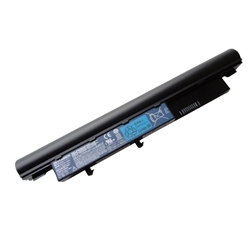 Acer Aspire 3410, 3410G, 3410T, 3810T, 3810TG, 3810TZ, 3810TZG, 3811TG, 3811TZ, 3811TZG, 4410, 4410T, 4810T, 4810TG, 4810TZ, 4810TZG, 5410, 5410T, 5534, 5538, 5538G, 5810, 5810T, 5810TG, 5810TZ, 5810TZG, 8431. Acer TravelMate 8371, 8471, 8531, 8571.